Increase your exposure on Instagram. 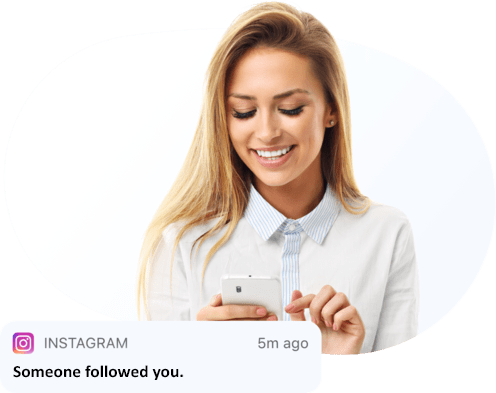 Use hashtagsforlikes to get access to the top, trending hashtags for every niche, helping you increase your reach on Instagram, helping you attract new, organic followers today. Simply create an account. Our software detected the most popular hashtags to give you the biggest exposure and reach on Instagram. Simply copy/paste to your upload and watch your followers grow. Easily target your audience with our niche categories We are adding new categories daily. Grow your audience with relevant followers. Show your profile to more users, using the right hashtags on Instagram. This is the only genuine way to attract more followers. Our software is constantly updating the hashtag categories to display the most trending relevant tags. Hashtagsforlikes algorithm detects the most trending hashtags, helping you get the biggest exposure. Stop using hashtags that arent relevant, or going to give you a big exposure. All your information is encrypted via 256-bit SSL encryption. Your data stays protected with us. You get a US based customer success manager that exists to support your goals on Instagram. Easily view all hashtag categories for every niche from your dashboard. This is such a useful tool if you want to get the most reach out of hashtags on Instagram, I highly recommend hashtagsforlikes. Its also very cost effective, only being $2.5 per week. This helped me grow a serious following on Instagram, I didn't realize the importance of hashtags, this tool helps me use relevant up to date hashtags targeted towards my audience, growing my reach. Great service, customer support was awesome if I needed anything to do with my account. I love how the dashboard offers so much value and new things are being added all the time.